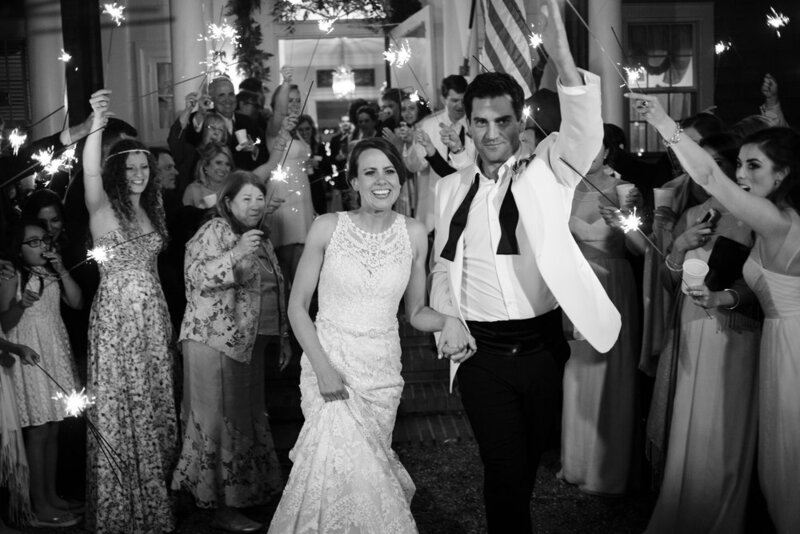 Many of you are designing and planning your weddings on your own (or with the help of mom!). So today we thought it would be fun to give you a peek inside our wedding planner brains and share some of our top tips as both wedding coordinators and designers! These are the tips that we turn to again and again when planning our weddings and events. Tips that we find help make our weddings stand out for both our clients and our guests! 1. 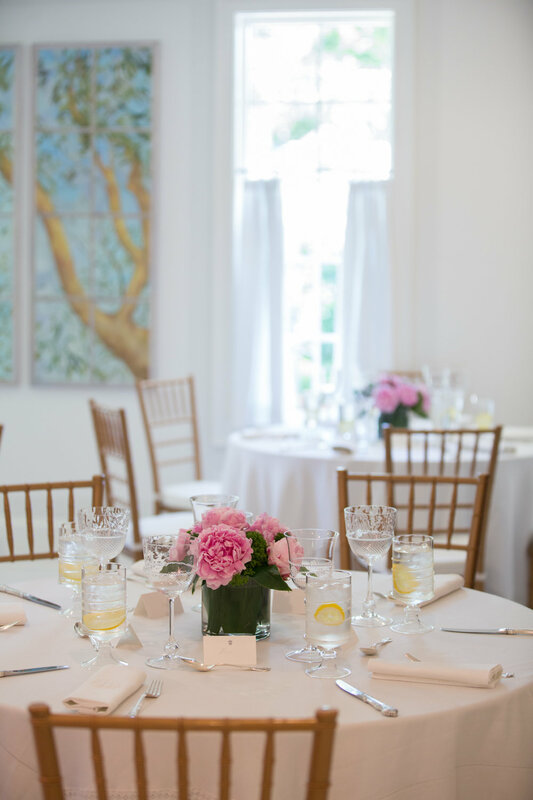 If you are planning on having food stations or a heavy-appetizer reception, we highly recommend that our couples take the time to eat privately before they go in to greet their guests. This is one of our favorite things to do for our couples. We find a private corner of the reception space for the two of you to take 15-20 minutes to relax and take it all in. We ask the catering team to prepare a little plate of all the food being served. 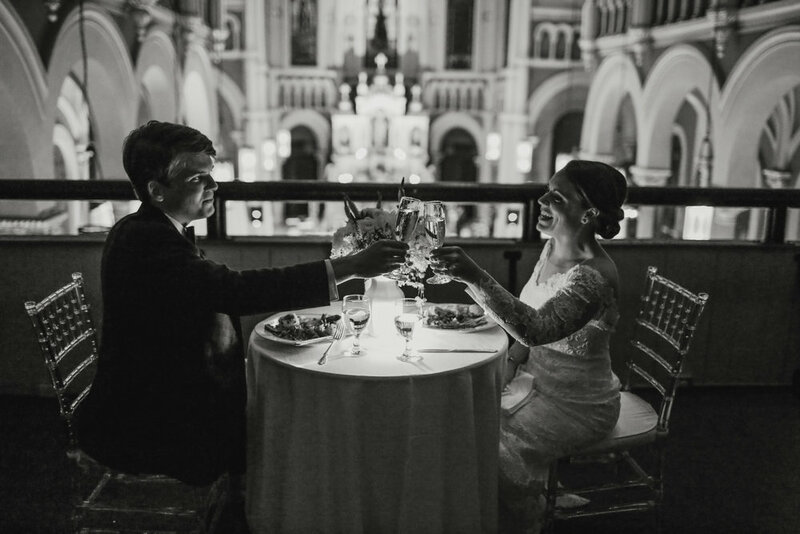 That way our couples can enjoy the food themselves and have the opportunity to be alone for most likely what will be one of the only times during your wedding reception! 2. If you want that truly "seamless" event feel, purchase all of your decor/design elements from the same sources. This is in reference to any paper goods, signage, ribbons, linens, etc. Things start to look disconnected when you get invitations from one place, programs from another. 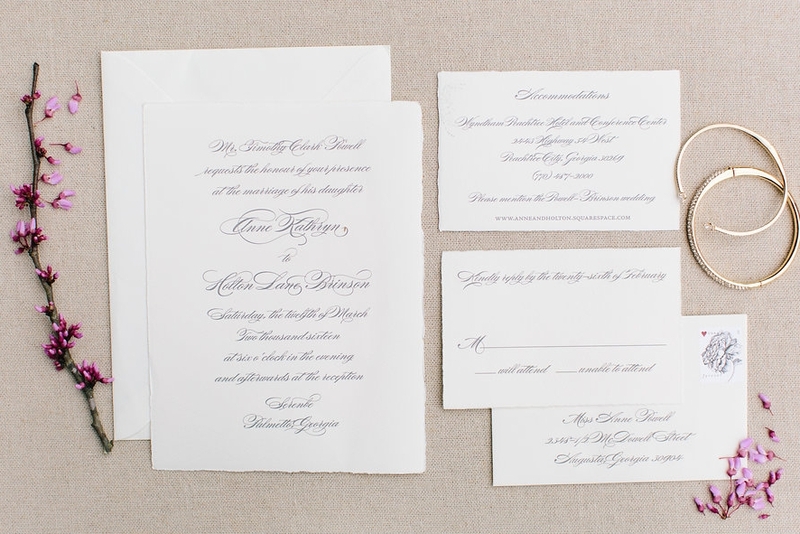 Multiple fonts, colors, styles looks messy when you compile it all together for those detail shots on your wedding day. That's why we love when our clients come to us from the very beginning and let us be a part of the creative design process as it allows for us to think big picture with the overall event design. Buy your paper goods from the same paperie, purchase any signage from the same Etsy shops, etc. to ensure a wedding that ties together beautifully. Did you know we have an in-house paperie specialist who can help you with your wedding day paper goods and stationary? 3. The #1 way to cut your budget is to cut your guest list. When you feel like your budget is spiraling out of control, consider cutting down your guest list. It is very common that our clients come to their initial consultation with their expected guest count and by the time they return for their next meeting it's gone up by sometimes 25-50%. When this happen you have to take into account the associated costs. More guests means more tables, chairs, linens, floral arrangements, and most importantly, food and alcohol. 4. You do not have to pick one color and stick to it for your entire wedding. 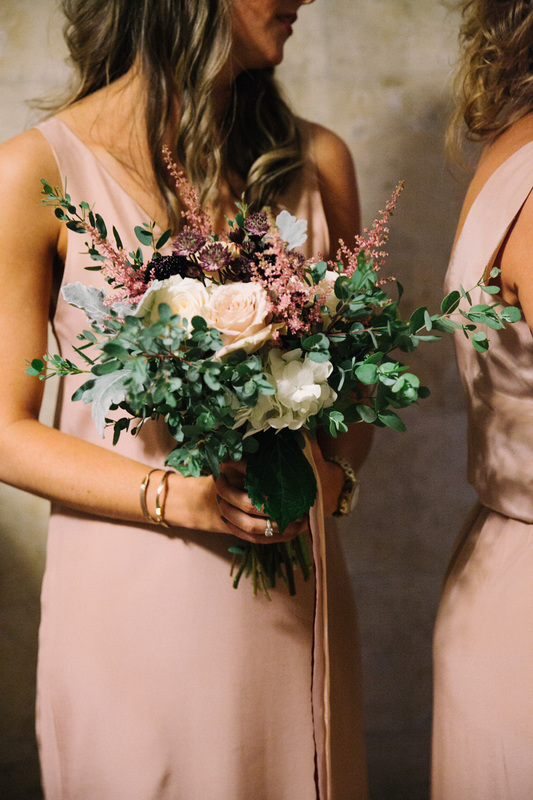 While we love a perfectly matched linen as much as the next wedding planner, we feel like weddings and events feel far more layered and styled when there is an overall color palate rather than one traditional "color." Ribbon, font colors, linens (both tablecloths and napkins), florals, bridesmaids dresses, are all opportunities to create your own unique palate. Just don't get too crazy, try sticking to similar tones, shades of the same color family, etc. so it feels more on purpose and less thrown together. 5. Ask your caterer to prepare a to-go box of all the food served to take with you in your getaway car at the end of the evening. Even if you set aside time to eat, a lot of our couples are too excited to eat much. Therefore we always try to make sure we pack up a plate of food for our couples at the end of the evening. Especially if there is some tasty late night snack. Who doesn't want a burger and fries after a long evening of drinking and dancing! One of the most frequently asked questions we get from our newly engaged friends and family is "Okay, now what?" You're engaged and excited and then the reality of planning a wedding sets in, and so do the hundreds of questions you are being asked. "Where you do you want to get married?" "When do you want to get married?" "Will you do an outdoor wedding?" "An indoor wedding?" "Will you have a seated dinner or buffet?" "Do you want a band or a DJ?" "Are you hiring a photographer AND a videographer?" "Do you want to do a destination wedding?" At that point you may be looking at one another and thinking "Should we just elope?" It can be very overwhelming when you first sit down to start the wedding plan discussion. However with a few of our tips and tricks that we use when we first sit down with clients, hopefully this process becomes a little less daunting and lot more FUN. If it is in your budget, hire a wedding planner. If it's not, make it a part of your budget. This may sound a little biased coming from us as wedding planners, but we truly cannot emphasize enough how important it is to have someone on your side during the wedding planning process. Whenever we're onsite during a wedding we think "How does anyone do this without one?" You (or your family) should not be spending your wedding day answering phone calls from your DJ or lighting candles or confirming that your limo will arrive for your 10:30 getaway. That should be the concern of your wedding planner so you can spend your wedding day doing what is most important. Having fun! Set a budget! We know, this is the least fun part of planning a wedding. And it is probably the most common tip you will find out there. But that is because it is true! You really cannot plan a wedding without some kind of budget. At the very least have an idea of how much there is to spend, you don't necessarily need everything broken down into categories yet. Especially for those of you who do not really have an idea about how much of your budget should go towards the caterer vs. photographer vs. florist. Once you start meeting with vendors and getting a sense of what different things cost, you can start to break that overall budget into sub-categories. Book the vendors who cannot be in two places at once FIRST! This is very important if you're getting married in a location that has less options for vendors. For example in Augusta, there are only so many venues that can hold more than 300 people comfortably. We recommend booking venue first, followed by other vendors who cannot do more than one wedding in a day. This includes your band/DJ, photographer, and day-of coordinator. Other vendors like your cake designer or florist usually can do multiple weddings in a day. This is also where having a wedding planner is extremely handy, we typically handle all the negotiating, contracting, and booking of vendors so you don't have to! Stumped on what vendors to book? We have a couple of tips there! First, ask a vendor you have already booked for recommendations. Most of us have worked with each other before and know how we work onsite. We have seen it all at this point and with that knowledge would be able to give you the perfect recommendation suited for your day. Alternatively, if you know your venue but do not know any vendors in the area, search under the location on Instagram. There you can see images of past weddings that have taken place at your venue location and from there can find local vendors that have worked in your space before! Decide what parts of the wedding are most important to you and prioritize those first. Is having an awesome band and your guests dancing all night number 1? Is it having a really great caterer and a four-course seated dinner? Perhaps it's having a huge dessert bar to satisfy your family's sweet tooth! Or maybe it's having the most perfect wedding dress you could ever imagine. Whatever it is that has you day dreaming about your wedding day, that is the part of your wedding you should prioritize and give the most energy to. Do not worry about little details like a welcome bag for out-of-town guests or a videographer or a second reception dress, if those aren't things that matter to you! You want your day to reflect the two of you first and foremost so focus on the things that the two of you love! We hope some of these tips help you and your fiance face the wedding planning process with a bit more excitement and courage! While the to-do list can be daunting, this is also a very special time that the two of you and your families should be enjoying! So do not forget to have fun with it! Do you have any tips for newly engaged couples? If so leave some ideas below! We would love to hear them! 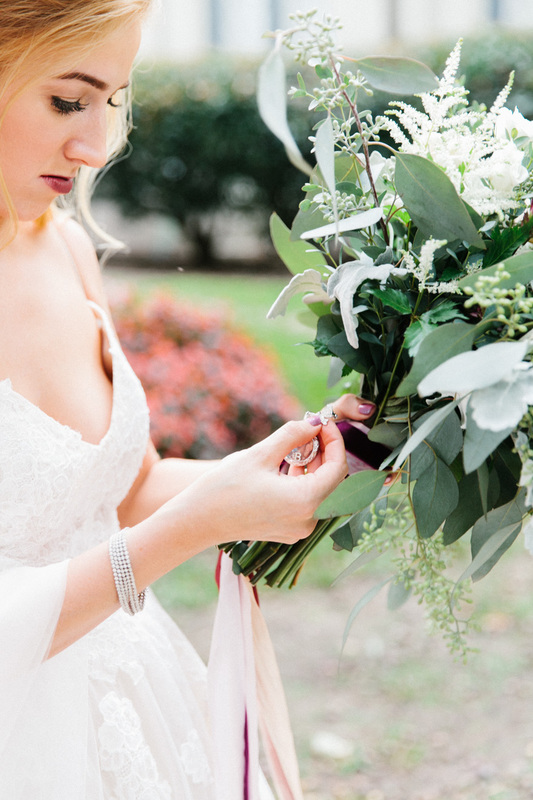 Images by: Lauren Carnes Photography, Ashley Seawell Photography, Mark Williams Studio, and Leigh & Becca. Blog Infographic Image by Ashley Seawell Photography.